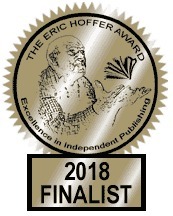 After Monday’s post was published, I learned that Kin Types was a finalist for the prestigious Eric Hoffer Award. It’s in stellar company. This recognition validates the work I did on the book and on my family history blog, too. Best of all, the book gets a gold foil sticker for the cover ;). If you want a sticker for your copy, send me a selfie of yourself with Kin Types that I can use on this blog or social media (in case I decide to do that) with your address, and I’ll mail you a sticker when they arrive. My father passed away three years ago this past Monday. My first book, Doll God, had just been published so he was able to read it (and be very proud) before he died. He never got to see Kin Types, although his mother and grandmother are featured in the book. I’m closing comments because I don’t want you to feel you need to send me congratulations; I just wanted to let you know about the exciting news!